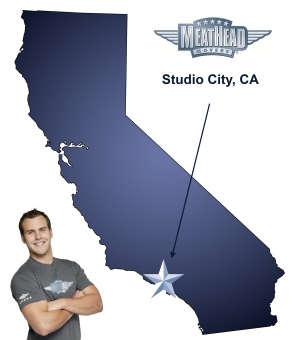 Meathead Movers is here to take care of the heavy lifting for you on your move to Studio City. Our clean-cut student athlete movers are ready to get you safely settled into your new Studio City home. While the larger Los Angeles metropolitan area has much to offer, there are few portions with as much to enjoy as Studio City. Studio City is an upscale area of Los Angeles and is close to other impressive neighborhoods, including Beverly Crest and Hollywood Hills. With just over 37,000 residents, Studio City is currently one of the least densely populated areas in Los Angeles. For those looking to become one of those residents, finding the best Studio City movers can make all the difference. During the early days of western expansion, Studio City was mostly undeveloped due to a lack of water. However, when the Los Angeles Aqueduct was completed in 1913, housing began to boom. In 1927, a new production studio was established in the area, which is how the name Studio City was derived. In the years since Studio City has been largely grounded by the entertainment industry. Today, Studio City features a booming section of Ventura Boulevard and is home to the CBS Studio Center. Beyond show business, residents can enjoy the numerous parks and facilities including the Los Angeles River Walk and the Studio City Recreation Center. With so much to offer, Studio City is clearly a wonderful place to live. In order to minimize the stress of moving, it is wise to find the right Studio City movers. Too often, the moving industry is overrun with poorly trained workers who are lazy and careless. This is not the case with Meathead Movers. With over fifteen years of experience, Meathead Movers hires clean-cut respectable student-athletes, all of whom are trained and held to the highest standards. There is no tolerance for smoking or drug use, and our employees set themselves apart by jogging while not carrying anything. Meathead Movers is readily available for a wide range of moving needs. We are prepared to help complete moves of any distance, ranging from local, long-distance, and commercial moves. We can also help with the packing process or can transfer belongings to a secure storage facility. Our services are perfect for residential and commercial moves and we even provide a unique concierge service to connect you with local service providers as part of the Meathead difference. Though there are many Studio City movers to consider, the only one worth employing is Meathead Movers. To find out how Meathead Movers can help you, please contact us for a free no-obligation moving quote today. Moving to Studio City? Here are some helpful resources. View more Studio City resources. I think the packing/unpacking service could be better executed (at least in our cases). I would hope to learn from a professional packer, but I learned that I'd rather do it myself or hire anyone at a reasonable hourly rate and skip the Meathead markup. There are so many ways to improve the execution of this service. Also, I was bummed that the packers chose to use Meathead boxes before the many that I had procured (per my reps suggestion). The whole thing was far more expensive than the value I received. People were all nice and professional, just poorly trained IMHO. The move was a much better experience, but after a poor packing experience, it caused the move to be more wonky and time-consuming. Appreciative of all the hard work from the whole packing/moving team but would only recommend to others with specific disclaimers. If I moved again, I'd likely try a mirroring service. The guys were very professional and diligent. They work hard and are very careful. Awesome reliable, swift and courteous service. Would definite recommend or use again in future! Dependable, courteous and professional. Others could learn from your work ethic ! We have used Meathead for at least 4 and maybe as many as 6 moves in the past, and have always been extremely satisfied, until this past Saturday. First of all, we hope Aaron is ok, and doing better than my husband's tool chest, which required a sledgehammer to reassemble after Aaron tried to move it alone and it fell on him. We were very concerned about him, but it did mean we lost two movers for the rest of the job. Michael D., the Mentor assigned to coordinate our move, spent half the day on the phone with you complaining about our job, demanded an extra truck (the third) and an extra roughly $1400 to complete the move, even though the second truck ultimately wasn't loaded full and the third truck had next to nothing in it, When I asked him to point out on the inventory how his differed from the estimate to justify the third truck, he dithered for a bit and never did - I finally let it go because so much time was passing. He also said (before lunch, when they had been working less than 1-1/2 hours, as they didn't start until well after 11 for a 10 am move, and didn't have the 8th guy who had been promised until well after 12) that they wouldn't be able to complete the move by 9pm, when they were legally required to stop (hard to believe except maybe for overtime starting). When I said "ok, what will you do with the stuff still on the truck at 9 pm?" he disappeared to call again and said, ok, fine. They left stuff behind, in one case (some metal rods and angle iron that two previous Meathead crews had happily moved before) because "he wasn't allowed to because it was too dangerous." During the final walkthrough, I picked up a bag of empty plastic wraps from some moving blankets we had supplied, and handed it to him (I thought part of the walkthrough was to make sure that they hadn't left moving trash) and he said "why are you giving this to me, it's not ours?" There were many other small instances of an attitude from him of "this is a hard job and I don't want to be doing it" instead of the usual "can-do" attitude we have come to expect from your crews and leaders. At the end of the day, we expressed our frustration and continued to get nothing but "the people in our warehouse made me," and "there's nothing I could have done," even as he acknowledged that the third truck wasn't necessary. It was another mover who suggested that we speak to you. What you can do is remove the charge for the third truck, and straighten him out or get rid of him. I spoke to someone yesterday and was told that Jeremy, our quality assurance manager, would call me Monday morning, and have not yet received a call (10:30 am).